Take a look to Ripper Seeds’ catalog of seeds, this is the result of years of conservation and selection from elite plants. A wide range of possibilities for all cannabis enthusiasts. Selections from the best Skunk, Haze, and Afghani Kush that can not miss in your collection. Available in formats of 1, 3 and 5 seeds. 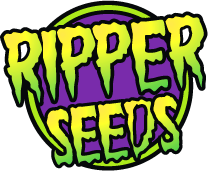 Ripper Seeds, 100% feminized quality seeds.